Have you considered building an online empire this 2018? Are you prepared to create a multiple stream of income working at the comfort of your home? What would it cost you to be a successful online entrepreneur? Are you willing to invest time and effort into your online business implementing working strategies? Do you really understand what it takes to turn your passion into a thriving online business? In today’s post, I will be giving you special insights that will show you the right way to build an online empire, the amount of energy needed to implement working strategies and the possibility to achieve financial freedom within a few months. Being skeptical about achieving online success would be a threat to your initiatives towards actualizing your dreams. The future belongs to those who believe in the beauty of their dreams. Most bloggers failed because they forgot passion and interest. If you really want to become a rocking blogger, do blogging with passion. Be a passionate blogger. One of the horrific mistakes most struggling bloggers make these days is that they focus more on profits than passion. You mustn’t concentrate on making profits at the expense of building passion. Blogging doesn’t work that way. Blogging with passion begins with choosing the right niche which is your interest. With the right niche, you will be blogging and will be making fun exactly. If you focus deeply on providing helpful and informative content to satisfy your readers’ appetites, they will see great passion in you and will follow you sheepishly. They will become more committed to you than ever. I have seen a lot of veteran bloggers who just like getting pro blogging results even before becoming pro bloggers at all. That’s a totally wrong strategy. It doesn’t work. It’s completely against the law of passion in blogging. A lot of veteran bloggers have said at several outreach campaigns, within blog comments and on interviews that writing is a difficult task to them and, thus, blogging becomes boring to them. What makes writing so hard for most bloggers out there? Why is it that some bloggers make a lot of fun writing and many others say it’s a daunting task? Find out more. You need to make a lot of fun blogging. How is that going to work out? Blogging with the right niche makes blogging a complete fun for you. Blogging and writing are two major activities that almost go “parri-passu” meaning that you can’t blog without writing and can’t write without blogging. As you build out you site with quality and helpful content while engaging visitors, search engines trust you more and traffic floods your site more than ever. This is the greatest and most proven blogging strategy that you can implement while building up an online empire. Pros implemented this particular strategy and became highly successful. Being ridiculously generous to your audience can increase your credibility. Your ideal target audience will put more trust in you. This is how you can become a rocking blogger and build up an online empire. While trying to build up an online empire through blogging, you wouldn’t be profit conscious at all. Revenue will be an icing on the cake for you. Once your domain authority increases, you’ll experience improvements in search results and you’ll earn consistent revenue in lifetime. Know that your success lies in helping and making other people succeed. Their success is your success and their failure is your failure. Help and make other people succeed so that you can succeed. Content is king as you’ve read from hundreds of sites/blogs out there. How frequent do you publish posts? Your publishing frequency helps in updating your site and improving user experience. To so many bloggers out there, writing is a challenging task whereas to some bloggers, writing is just as simple as making fun. You must develop writing skills with passion as you build out your site with helpful content and your readers will feel the great passion in you. Before you know it, you’ll discover that you are already building an online empire doing what you love doing at the comfort of your bedroom. This is the easiest strategy to building your a virtual real estate. Building an online empire becomes easier as you continue writing quality and helpful content while engaging visitors. It all starts from blogging with the right niche. Do you ask your readers to leave comments on your blog after reading posts? Do you know that you can increase your ranking potentials by receiving a lot of genuine and authentic comments on your blog? Do you know that you can receive better rankings by getting more of quality and relevant comments on your blog? Never listen to anyone that speaks against blog commenting. If you’ve been told by anyone that blog comments are no longer crucial in getting top rankings, know that you are learning blogging heresies. In an internet marketing forum based in USA, some bloggers claimed that Google doesn’t count on blog comments for ranking sites anymore believing that they are self-published comments and can be spammed. I replied and made things clear that the idea is nothing but a blogging heresy. Google identifies genuine blog comments through internet protocols (IP). It rewards authentic comments and penalizes spam ones. Blog comments are a signal to Google that you keep your audience fully-engaged and a great way to get higher rankings in search results. 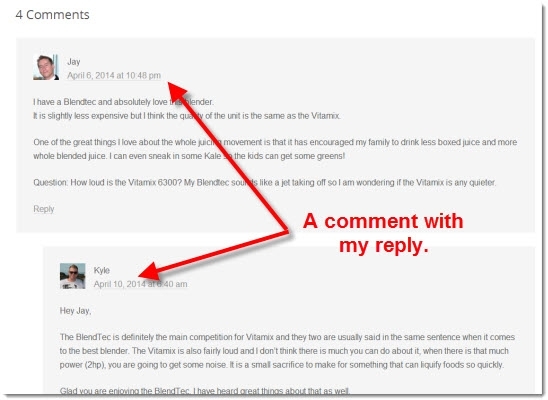 You will generate more valuable comments on your blog. You will get maximum exposure with your blog in search engines. Would it be easy at all to become a rock star without guest-posting for other bloggers who have more traffic than you? Would you disregard the idea of guest-posting for pros? Would you call it a waste of time, effort and energy? The truth is that you need to implement working tactics to blogging activities lest you continue writing content for no one to read. Sometimes, I wondered how some veteran bloggers would be so comfortable writing content daily without receiving a visitor to read their posts at all. You allowed blogging jealousy to overwhelm you. You didn’t implement working strategies. Have you tried submitting guest posting proposals to hundreds of pro sites but never got an invitation? Don’t get baffled about that. Continue blogging persistently and implement all blogging fundamentals. Someday, guest posting invitations will find you, be rest assured. That’s how it works. Many people just want to get pro blogging results even before becoming pros. How is that going to work out? Definitely, you wouldn’t want to build up your own online business before expecting returns (ROI). Building an online empire entails connecting to pros. It’s hard to become a pro without first following pros. Follow all blogging fundamentals and implement working strategies. Learn practicable blogging tips and turn them into thriving blogging strategies for building up an online empire. Leave a comment below should you have inquiries regarding tips to building up an online empire and expect a response soonest. If you enjoyed reading this post, share with friends, groups, communities and fans using the social media icons below this post. Get updated with all of our future updates by subscribing to our email list. Check the email subscription form through the right sidebar. The thought of building an online empire is a bit far fetched for me. I am just trying to figure out how to make my first sale. I’ve been blogging for about 1 year now, monetizing mainly from affiliate programs but it’s been really hard. As far as SEO is concerned, I am doing everything as suggested. What could possibly be wrong? Appreciate whatever advice you have. Thanks. Thanks for reading my tutorial friend! A lot of people are missing out on the essentials of getting online breakthroughs. For instance, I’ve seen a lot of veteran bloggers who create content everyday yet without getting any result. Traffic remains 0% despite the fact that people write content everyday. Is it writing content everyday that matters or the engagement? This is particularly where most bloggers missed out. And they keep getting 0% traffic. Try and engage well on every content published and you will see your blog skyrocket to the first page soonest. Then read more posts on https://onlinebusinesspublications.com/blog to learn more about building up your site ranking implementing working strategies. Very informative and useful article on Building a successful online business. Tip no.7 is something new to me and is very interesting. I agree with you when you say that you can’t become a pro without first following pros. I will try and implement that. I really enjoyed reading your post. Thank you so much for the insight. You are warmly welcome Jyoti. Thanks for reading my post! Kudos for finding it so helpful! You must learn from pros in order to become a pro. Kudos! Hi, and thanks for these tips! I am blogging for a little while now and not really looking for the big success yet. I write blogs about affiliate marketing like you and would really like to increase traffic to my site. The first 5 points you mention I implement in my articles already. Number 6 I find actually an interesting option but wouldn’t know where to leave comments and how to get backlinks to my website. Could you possibly give me some ideas where I can find some of the mentioned blogs? Do you think authority bloggers are interested in a newcomer like me and even being competition? Thanks for visiting my blog, Stefan! It’s nice to have you on board. Much appreciated! It’s really great to know that you blog on related niche and you’ve been trying to implement working strategies even on your own blog too. Authority bloggers are interested in you because they were in your shoes and are willing to help you without expecting anything in return, be rest assured. To start leaving comments in pro bloggers’ blogs, use the Google search box and make a search based on your niche such as “Affiliate Marketing + Leave comments”, Blogging Fundamentals + Leave comments” and so on. Thanks for dropping by! Wow your 7 steps are very detailed oriented. Personally, I think you are giving out some very great strategies on how to become successful with blogging online. I agree with you that there are several bloggers who seem to struggle with number 2. Keeping blog writing fun. But I know like you said this is an extremely important step. Thank you so much for taking the time to discuss these 7 helpful tips! Thanks for reading my blog post, Melissa! Kudos for finding my post helpful! Blogging entails learning certain strategies that help you become successful among others. It’s great to make fun doing what you love doing even at the comfort of your home. This is what blogging is all about. You don’t blog out stress but out of passion. The passion brings about the fun. Thanks for visiting! Great Post Man, I agree I love blogging and creating content, Whats your opinion on other content for blogging like video and podcast for blogging? It would take a good length of time blogging before, I’d ever consider myself a Pro blogger. What main traffic outlet do you like to leverage for blogging? Thanks for reading my blog post, Nekko! Much appreciated! Videos and podcasts are great ways to boost site traffic and can help you rank well in Google. People remember 20% of what they hear, 30% of what they see and 70% of what they see and hear. That is why you become successful quickly embedding videos and podcasts within your content. Thanks for visiting! I love this. Sometimes, I have a hard time creating content and posting regularly because I have a full time job and a 4 month old, but it really is something I need to try harder at if I want to make my blog successful. Thanks so much for the tips! Thanks for dropping by to leave a thought, Briana! Much appreciated! Kudos for reading my blog post! It’s somehow hard and challenging for most people to create content regularly and engage visitors from time to time. You just must find some good and quality time to build out your site with quality and helpful content while engaging visitors. This is how you manage to move your blogging game to the next level. Thanks for visiting! Brilliant dude, brilliant. I model all I do online after your tips. From having fun, being generous and giving little thought to blogging profits, all seems to happen easily as I dive full bore into blogging with love, rendering service, making friends, helpful folks and expecting nothing. All about being in the moment and feeling whole and complete, right now. Best post I read all day bro. Thank you! Thanks for stopping by, Ryan! Kudos for reading and commenting on my blog post! I am delighted. I learned most of those blogging fundamentals from Blogging From Paradise. Having fun, doing what you love doing at the comfort of your home and being ridiculously generous to other people without expecting anything in return are all simple strategies to blogging profits. This is where most veteran bloggers missed the road to blogging success. Thanks for visiting, Ryan! As usual, outstanding advice from you Israel! Thank you for sharing these fundamentals! They are necessary, and yet many new bloggers (myself included sometimes) forget these important steps. Focusing on being helpful, guiding, and informing needs to be at the core, not seeking profits. Maintaining passion, follow through, and focus is essential. I am hoping to start getting many quality comments on my site soon, although I’m still trying to figure out how to use social media to get people to my site. Thanks for sharing your SEO wisdom! You are such a brilliant and rocking blogger, Jordan! Thanks for stopping by and leaving a valuable thought! Much appreciated! I feel for so many people out there who don’t care implementing working strategies towards the building up of their sites. Some bloggers publish content daily for no one to ever read. Google looks at parameters in ranking your site such as how many people visit and spend quality time on your site and how many high quality links you’ve been able to get. Upon satisfying all these, ranking follows immediately. Being persistent is the greatest secret to building an online empire. Thanks for visiting! Liked your tips on how to build an Online Empire. I especially took note of the information on receiving comments to your website. I totally agree with what you have said here! Can you give me tips that would get people to leave a comment on my Site when they visit? Thanks for visiting and reading my blog post, Jeff! It’s important to receive comments daily on your site as this is the signal that you have quality, helpful and engaging content on your site. Writing content daily wouldn’t be necessary without engaging your audience through comments. This is what you simply need to build up your blog and create a multiple stream of income. If you really want people to leave valuable comments on visits to your site, then make sure to write quality and helpful posts. Make your posts remarkable and compelling. Thanks for visiting! I enjoyed your review of blogging and it explained many things that many bloggers just either don’t know about or just ignore the fact. I think where many bloggers go wrong is not publishing frequent enough like you mentioned. It is true that having passion helps, but in many cases, this might not be possible due to the niche not healthy enough. Do you have any suggestions regarding how to pick a profitable niche? Thanks for stopping by and leaving a thought, Mick! Much appreciated! You are going to step up by publishing frequently. One of the major reasons most bloggers were not converting is that they stopped posting. I do say this and I’ll keep saying it that no niche is unprofitable. In as much as you are interested in what you are blogging about be it Science, Business, Affiliate marketing, SEO, Health or any other niche, you are going to flourish and prosper, be rest assured. Thanks for visiting!